The peanut butter sandwich is about as American as baseball, hot dogs and apple pie. But history tells us its origins date back to the ancient Incas and Aztecs. All these years later, peanut butter remains a staple in many people’s diets, so celebrate the spread on National Peanut Butter Day, Jan. 24. 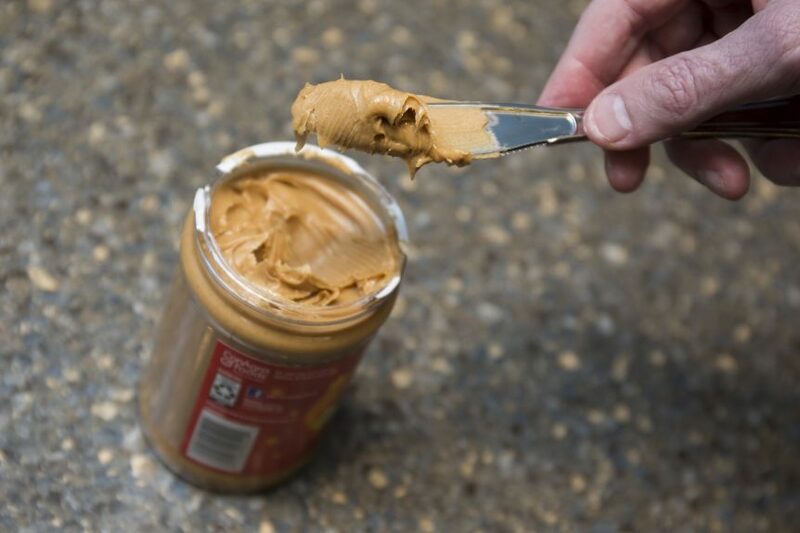 Here’s a little peanut butter history lesson, courtesy of the National Peanut Butter Board: Canadian chemist Marcellus Gilmore Edson patented peanut paste in 1884, and in 1895, Dr. John Harvey Kellogg – known for the cereal empire — patented a process to create peanut butter. Initially, peanut butter was marketed as a protein substitute for people who had trouble chewing. In 1903, Ambrose Straub patented a peanut butter-making machine. Healthy fats, protein, carbohydrates and fiber. Several vitamins and minerals, including magnesium, copper, manganese, niacin and vitamin E.
Resveratrol, phenolic acids and flavonoids. So, how did peanut butter become so popular? For this answer, we return to the National Peanut Board, which says the peanut butter and jelly sandwich became very popular with U.S. Army service members during World Wars I and II. While that’s a historical perspective, Mialki gives a more current, practical response. “I think peanut butter sandwiches are popular because they are nutritious, budget-friendly and easy to prepare,” Mialki said. As an example of the convenience of peanut butter on sandwiches, the average American schoolchild will eat about 1,500 peanut butter and jelly sandwiches by the time he or she graduates from high school, according to the Peanut Advisory Board, a nonprofit organization dedicated to research on the nutritional value of peanuts. Speaking of research, studies show that eating peanuts is associated with decreased mortality and reduced cardiovascular disease risk. Eating the legume may also help reduce the risk of developing diabetes and help protect against cancer.